Saturday and Sunday, June 1-2, 2019 from 10 a.m. to 4 p.m. The City of Ottawa is proud to present Doors Open Ottawa – a free, annual architectural event that celebrates our community’s built heritage. 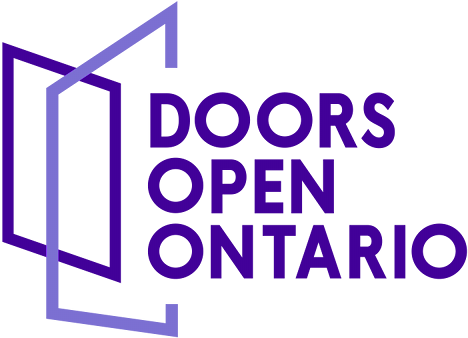 It is the second-largest Doors Open event in Canada, and one of the largest in the world! Since its inception in 2002, over a million visitors have discovered some of the city’s most prestigious buildings – and you’re invited to explore them first hand! Discover the history, culture and stunning architecture of more than 130 buildings – such as the Supreme Court of Canada, the Canada Council Art Bank, the Embassy of Hungary and Beechwood Cemetery – as they open their doors to share the secrets that lie within. Whether you're a resident or visitor to the nation's capital, we also invite you to take advantage of the free Doors Open Ottawa Shuttle Bus, operating within walking distance of over 50 participating sites. If you prefer to walk, no problem. With so many choices within the downtown core, visitors can explore numerous buildings each day on foot. Join us to pay homage to Ottawa’s unique landscape and architecture during Doors Open Ottawa 2019! It’s free, it’s fun and it’s the perfect way to discover how Canada’s capital has become the beautiful city it is today. Visit our website on April 29 to access the full building list and additional event information. If you need accessibility accommodation to visit these sites, please contact us at doorsopen@ottawa.ca. Ottawa is Canada’s capital, a dynamic showcase city of more than one million people. Located in Ontario at the Quebec border, it’s a place where you’ll hear English and French spoken in the streets, where you can discover Canada’s proud heritage at impressive national sites and famous landmarks, including the Rideau Canal (a UNESCO World Heritage Site). It’s a city steeped in culture, with world-class museums and galleries displaying stunning national collections and special exhibitions from Canada and around the world. This city is a uniquely beautiful place: an urban centre on the edge of nature where you can enjoy the great outdoors – just outside your hotel room, and nearby in the surrounding countryside. There’s an easy cosmopolitan vibe here, and Ottawa is known for being both welcoming and walkable. Explore the distinctive local neighbourhoods – including the historical ByWard Market. By day, this area boasts a bustling farmers’ market and chic shops; by night, it hums with activity at the restaurants, pubs and nightclubs. This is also a city that enjoys the finer things in life, with a culinary community that’s earning wide acclaim, unique boutiques and shopping districts, a lively local music and arts scene, and always exciting nightlife. For more information, visit the Ottawa Tourism website. Volunteers are key to making Doors Open Ottawa great! Please help building participants open their doors on June 1 and 2, 2019. We are always recruiting volunteers 14 years of age and older who enjoy working with the public. Interested candidates may apply for greeting and welcoming visitors, handing out event material, tracking the number of visitors arriving at each site, assisting with parking, managing lineups, and encouraging visitors to complete online visitor surveys. For more information, contact Amy Kudrinko at heritagevolunteers@ottawa.ca.